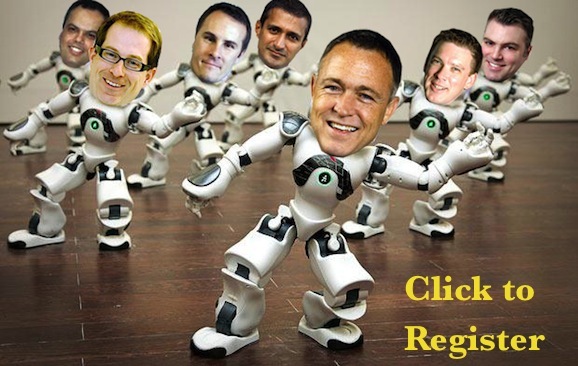 Ready for the ultimate robotic process automation debate? At long last... this April we have everything you've ever wanted to know about Robotic Process Automation and never dared to ask, in a sponsor-free, puff-free hour of open, undiluted interactive argument, debate, tomfoolery an enlightened nonsense, from the most knowledgeable group of robotics junkies we could muster. We've heard the hype and the bravado, and listened to the whining doubters... so surely it's time to get to the real issues around Robotic Process Automation (RPA) on the table. So, without further ado, HfS has assembled the ultimate panel of robotic genii to ramble rambunctiously about the realities of robotics. What, exactly, is robotic process automation? Does RPA really have potential to be the next "game changer" for the outsourcing business, or is this just a few rogue process junkies chasing a quick buck? Can RPA really displace humans in the outsourced back office, or just add some incremental efficiencies? If RPA lives up to its potential, will it rapidly reduce the reliance on offshore labor in outsourcing engagements? Is RPA the key to breaking the FTE model and shifting to a non-linear approach for business and IT services? Will a new crop of service providers emerge which target outsourcing contract renewals promising to drive 20%+ savings on existing labor arbitrage arrangements through RPA? Can some enterprises actually bypass outsourcing by going down the RPA path - and how much can RPA add value in shared services and GBS environments? And why are we here - do we matter? So join us next month, where we have buy-side executives piloting robotics projects, the CEOs of the two most prominent software firms actually developing RPA solutions, a service provider actually rolling out robots with its clients and - of course - analysts who have a point of view on the whole thing!